Sadio Mane will equal his best ever goal tally in a Premier League campaign if he finds the net against Watford at Anfield on Wednesday night. The Liverpool forward scored 13 goals in his debut season with the Reds in 2016-17 and is one shy of that total with 11 games still to play this term. 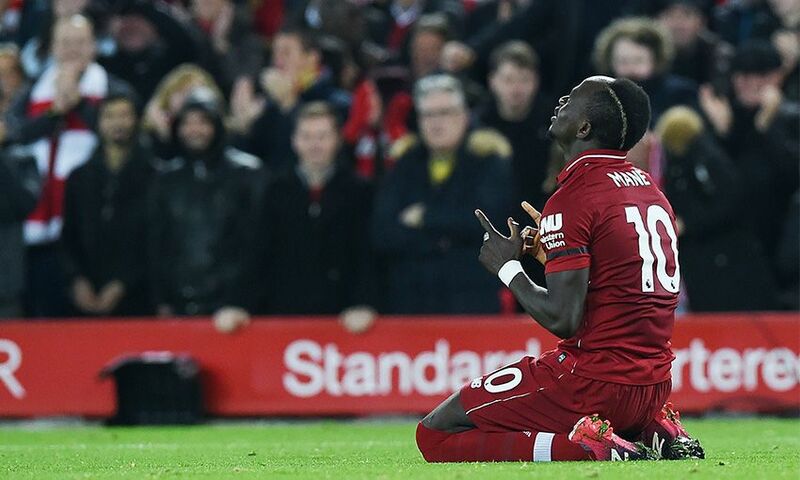 Mane has netted in each of his last four home league matches - if he extends that run to a fifth game in a row at Anfield it will be the eighth time the feat has been achieved in the Premier League era by a Liverpool player. The last Red to net in five or more in succession was Mohamed Salah, who is currently one goal away from scoring 50 in the Premier League in fewer games than any other player in the club's history. Liverpool and Watford are yet to play out a goalless draw in their 23 league meetings - all of which have been played in the top flight. In all competitions, the Reds have won 10 of the last 12 encounters home and away and 13 of the last 16. In the last four fixtures at Anfield the Reds have scored 15 times, with 11 coming in the last two meetings. Salah scored on his Liverpool debut against Watford at Vicarage Road in August 2017. The Egyptian forward then scored four goals in the 5-0 win at Anfield last season to become the first Reds player to net a quartet of strikes in a league game since Luis Suarez against Norwich City, and the first to score a hat-trick against the Hornets. Salah and Roberto Firmino have each scored in the Reds' last three league games against Watford. Ian Rush holds the club record against the Hornets, finding the net in six in a row from 1984-86. 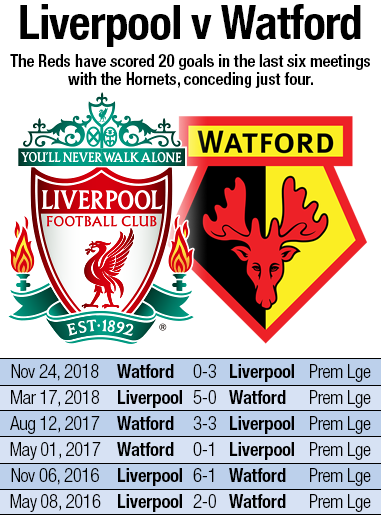 Watford's last win against Liverpool came in December 2015 when Odion Ighalo netted twice to add to Nathan Ake's third-minute opener in a 3-0 victory at Vicarage Road. Since that game, Watford have taken one point from a possible 18 against Jürgen Klopp's men.